Bollywood superstar Salman Khan is one actor, who thinks from his heart rather than his mind. The 53-year-old actor is always known for his magnanimity and large-heartedness. Salman is known for launching young talent and star kids and always backs them to the hilt. 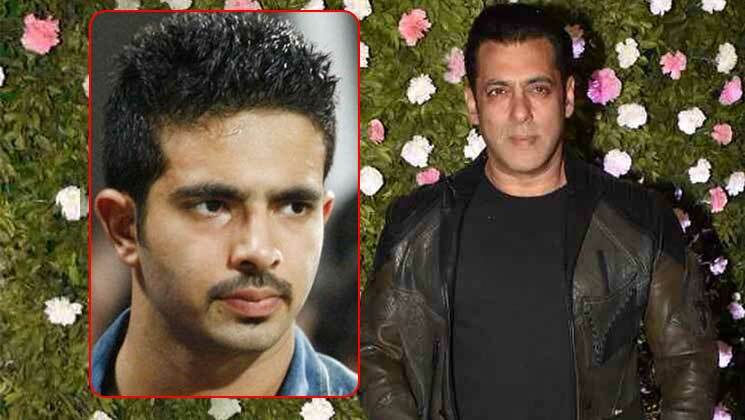 Now, Salman Khan is planning to launch his bodyguard Shera’s son into Bollywood. The ‘Sultan’ actor, in an interview with Bombay Times said, “Shera’s son Tiger is being groomed right now and he’s already being considered by so many producers and directors. Shera feels I will be the best judge of a script for his son, so I am now sifting through scripts. I am yet to find something worthy.” Tiger has earlier worked as an assistant director on Salman’s 2016 blockbuster ‘Sultan’. Just recently, Salman launched Zaheer Iqbal and Pranutan Bahl in ‘Notebook’. Meanwhile, on the work front, Salman is awaiting his next release ‘Bharat’. This larger than life extravaganza also stars Katrina Kaif and is being directed by Ali Abbas Zafar. The film will be hitting the screens on Eid.